Solar powered grasshopper, no battery needed. It's micro vibration motor are driven directly in the sunlight eyes jiggle, legs wiggle, and antennas sway to-and-fro. 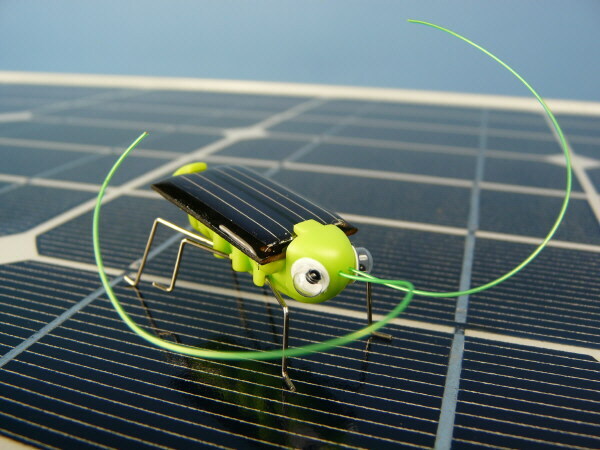 Pint-sized and power to pack a punch, this amusing solar bug will surely capture your heart. A good educational toy for children to learn about solar power energy.